3 Bedroom Semi Detached House For Sale in Waltham Cross for Asking Price £425,000. 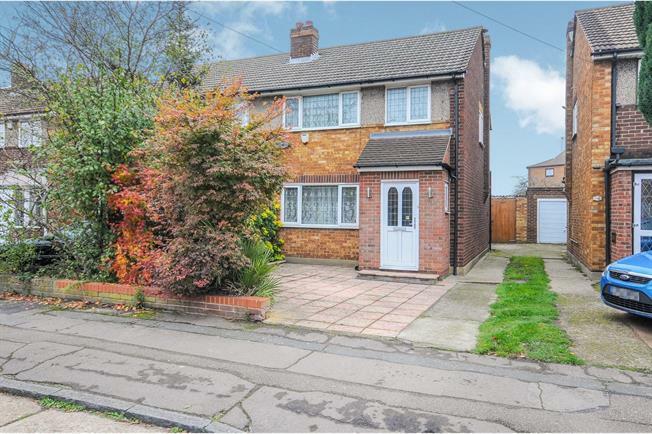 This three bedroom semi detached property with garage located close to transport services. The property benefits from two double bedrooms and one single, spacious living room along with a spacious dining section. This property also benefits from a spacious modern style kitchen and has a downstairs bathroom as well as a upstairs family bathroom.